Kylos Review 2019: Is Kylos a Good Hosting? Kylos is a Polish hosting provider that offers a range of shared, VPS, cloud, reseller, and dedicated server hosting packages. In 2008, they launched their own data center in Łódź, Poland. They cater primarily to the Polish market. Kylos, a company founded by engineering and computer science students in 2003, is a Polish hosting provider that offers a range of shared, VPS, cloud, reseller, and dedicated server hosting packages. In 2008, they launched their own data center in Łódź, Poland. They cater primarily to the Polish market. The storage space provided may seem low at first glance, but it also has a considerably lower price tag than many other options in the market. Also, IGB should be sufficient for individuals and small businesses to establish an adequate web presence. On the other end of the spectrum you have the Kylos Platinum shared hosting plan, which has an increase to 100GB of storage and is unlimited for almost everything else. Disappointingly, none of their shared hosting plans come with a free domain registration – I thought this would’ve been included with the higher-tier shared hosting plans. Also, Kylos does not appear to have an uptime guarantee. On the upside, Kylos provides a free website migration service as well as a dedicated account manager for every client. Also, though small, Kylos beats many of its larger competitors in server performance. A quick test found that websites hosted on Kylos servers load faster than 90% of the websites hosted on other leading Polish hosts. Since Kylos also offers a range of VPS and cloud hosting packages, businesses can rest assured that they can stay with the same hosting provider even when they expand. 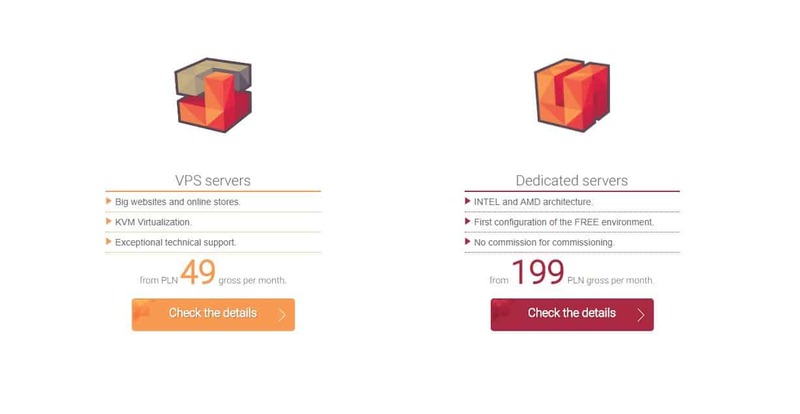 Kylos prices their plans quite reasonably – in fact, the cost of their entry-level shared hosting plan easily beats those of their larger competitors. Note, however, that Kylos lists their prices in annual rather than monthly terms; a flexible month-by-month contract isn’t available. Like many web hosts, they offer a discounted price for the first year’s contract, then charge the regular rate after that initial term. That said, the 2nd year price increase isn’t that steep, so Kylos is still an inexpensive choice. Kylos offers free 14-day trials of any of their shared hosting plans. These trial hosting accounts are fully functional, which means that if you already have a registered domain, you can even set up email accounts, MySQL databases, SSL certificates, and subdomains, testing everything until you’re satisfied. If at any time during the trial you’d like to change your package, you can contact their support staff. Alternatively, if you’d like to upgrade to a paid account, you may do so as well. Kylos offers support via a telephone hotline, email, a ticketing system, and live chat. They also have an extensive knowledge base with helpful articles, though these are written in Polish. There’s an option to translate them to English, but this functionality seems to be broken on their website – you’ll have to run it through Google Translate instead. This may prove problematic for non-Polish customers. As a small web host with a data center located in Poland, Kylos is an affordable choice for individuals and businesses beginning their foray into the internet. However, they may not be as suitable for non-Polish customers. Wondering how Kylos stacks up against other Web Hosting companies? Enter any other Web Hosting company and we will give you a side-by-side comparison.